It is 5 December 2015 in the North West of Great Britain. Outside, storm Desmond is raging. It is pouring down and it is not about to stop anytime soon. Dikes have collapsed, rivers have burst their banks, and streets, basements and houses have been flooded. One month after another two storms, it was time to make up the balance: almost 200 flood alerts and warnings were issued and hundreds of people had to flee their homes across England, Wales and Southern Scotland (BBC). These are not isolated events. Worldwide, floods account for about a third of all natural disasters in both absolute numbers and in terms of economic damage (Munich RE). And damage will continue to increase in the future (World Bank and OECD). The fertile ground and transportation afforded by deltas have always attracted people. So it is not surprising that most of the world’s largest cities are situated in deltas. To control the natural seasonal floods, rivers have been channelled, and dikes and pumping systems built. Although flooding has been reduced, the natural dynamics of rivers and coastal systems have been affected and the ‘hard’ solutions, which are inadequate in a context of extreme events and sea-level rise, now require expensive management and maintenance. Nature-based flood defences (NBFD) use natural dynamics and ecosystem services to reduce flood risk. 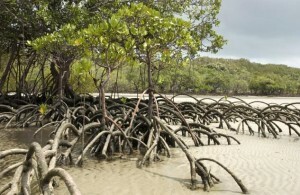 They focus on preserving or restoring ecosystems such as marshes, mangroves, coral reefs and dunes in order to create natural barriers or breakwaters to protect the hinterland from flooding. They also draw on the potential of ecosystems to retain, store and discharge water. Ecosystems can be restored, enhanced, engineered or managed to successfully reduce flood risks on coastlines, in river basins and in estuaries throughout the world. Nature-based flood defences combine nature and flood protection, but they can also integrate other functions. These type of defenses fit the building with nature working method perfectly. Nature-based flood defences are a relatively new approach to flood risk reduction and climate change adaptation, and so knowledge development is essential to make large-scale and successful implementation possible. 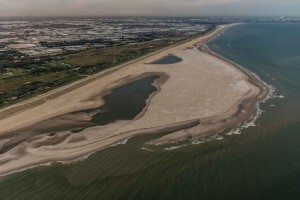 Deltares is a key player in knowledge development for adaptive nature-based solutions in delta areas worldwide. Our expertise in the disciplines of flood risk, system dynamics, ecology and governance means we have the ability to make a balanced evaluation of measures for flood risk and erosion reduction. Deltares draws on models, experiments, field assessments and monitoring to map out what is technically possible at a given location. We also establish a picture of the added value of a nature-based approach and advise clients about the design process. Government authorities, site management agencies, flood risk managers and consultancies can use this knowledge to take sound decisions about implementing measures and to establish stakeholder support. The aim is to ensure that nature-based flood defences become a self-evident option in flood risk reduction. TEEB case Flood risk management: what is the value of natural solutions?